HKSKH Standing Commission on Social Services has designated the first Sunday of October each year as Caring Sunday. This year’s Caring Sunday is given the theme Care for the Poor, to raise awareness for the poverty situation in Hong Kong and appeal to parishioners to care for low-income households through practical action. The commission invited parishioners to take part in a one-day poverty experience, or walk into the vulnerable communities to care for them and share Christ’s love as well as give them spiritual fulfillment. Twelve members of the Ming Hua Theological College Student Society took part in the one-day poverty experience, by limiting their budget for meals on a day of their choice. Each of them had only forty-five dollars to spend on food, an approximation of the allowance of forty dollars on which, many welfare institutions have found, a grass-roots citizen survives every day. At the end of this day, many of them said they went to bed hungry or worrying about not getting sufficient nutrients for a healthy life. This experience has strengthened their resolve to walk with the poor. St Matthias’ Church planned a Life Development Mentorship Programme and implemented it with Bishop Baker Secondary School and St Matthias’ Integrated Services. Each parishioner participating in the programme played the role of the mentor and provided guidance and support to the student they were paired with. Through systematic training and activities, the programme allowed students to experience the lives of people from different segments of society, and helped them set appropriate life goals. 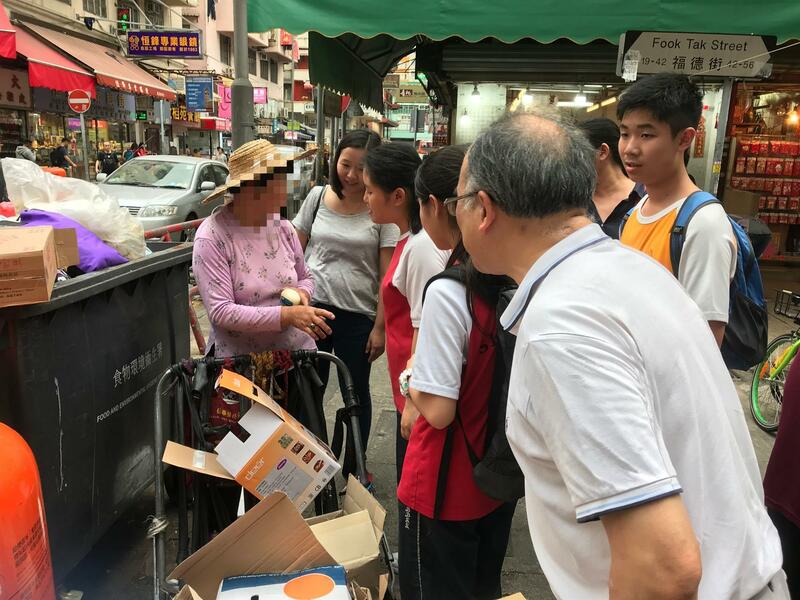 One of the programme’s activities was titled Sharing in Equality, in which the mentors and the students explored the poverty situation in Hong Kong by getting in touch with elderly scavengers and listening to their life experiences.